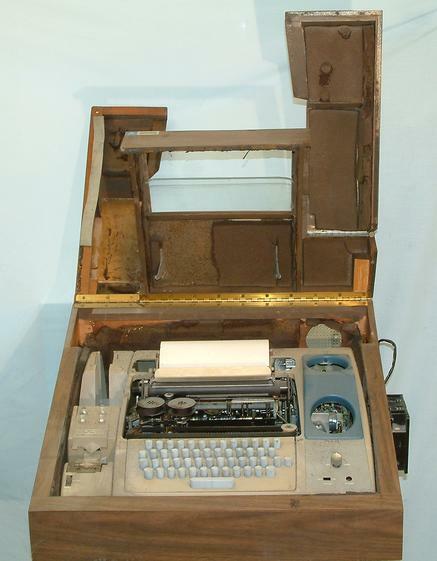 This is the inside of the teletype sound cover. This shows the foam that is disintegrating. Most foam used in old computers and other equipment from this time is falling apart. This cover was provided by Anderson Jacobson and is not part of a standard Teletype.